Residents may want to take it easy this weekend, especially those who are vulnerable to intense heat. A heat warning has been issued for uncomfortably hot weather beginning on Sunday (June 17). 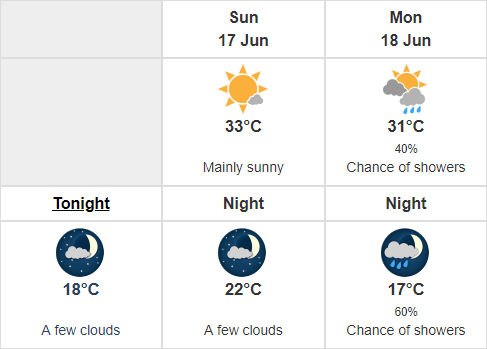 Daytime highs near 31 degrees and low temperatures near 21 degrees are likely on Sunday and Monday, Environment Canada reports. With little night time relief from the heat, humidex values reaching 40 degrees are expected. The cause for the heat is a warm front that is expected to bring a southwesterly flow of hot and humid air over Southern Ontario. A cold front is expected on Monday night which should help bring temperatures back down. During heat warnings, residents are advised to prevent heat-related illnesses by keeping hydrated and staying in a cool environment whenever possible.